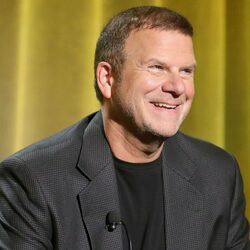 How much is Tilman Fertitta Worth? 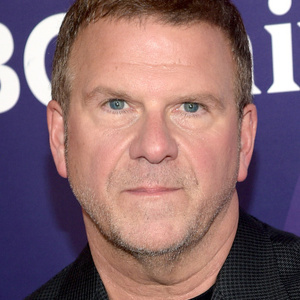 Tilman Fertitta Net Worth: Tilman Fertitta is an American businessman who has a net worth of $3.1 billion. 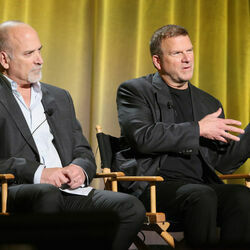 Tilman Fertitta was born on June 25, 1957 in Galveston, Texas. Fertitta is best known for being the CEO, Chairman and owner of Landry's, a Texas-based restaurant and entertainment company. Growing up, Tilman's father owned a seafood restaurant where he would work after school peeling shrimp. When he was in his early 30s, Tilman founded a construction company that went on to be very successful. In 1986 he invested in a restaurant called Landry's. In two years, he managed to become a controlling stock holder in the company. Roughly 25 years later, he took the company private in a deal worth $1.4 billion. Today, Landry's has under its operation such restaurants as Bubba Gump Shrimp Company, Saltgrass Steak House and, of course, Landry's Seafood. Dining holdings aside, Landry's owns the Golden Nugget casinos, Houston's Kemah Boardwalk, Tower of the Americas in San Antonio and San Luis Resort in Galveston, TX. Tilman's third cousins are former UFC owners Frank and Lorenzo Feritta. 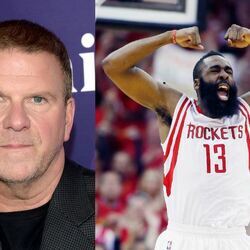 In September 2017, it was revealed that Tilman Fertitta had agreed to buy the Houston Rockets from Leslie Alexander for $2.2 billion. That is a record price paid for an NBA team. Tilman attempted to buy the Rockets for $81 million in 1991. 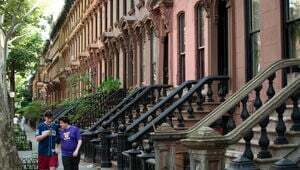 He lost out to Leslie Alexander who offered $85 million. Tilman is a former minority owner of the Houston Texans. Interestingly, due to league gambling rules, bettors at Tilman's casinos will NOT be allowed to wager on Houston Rockets games.